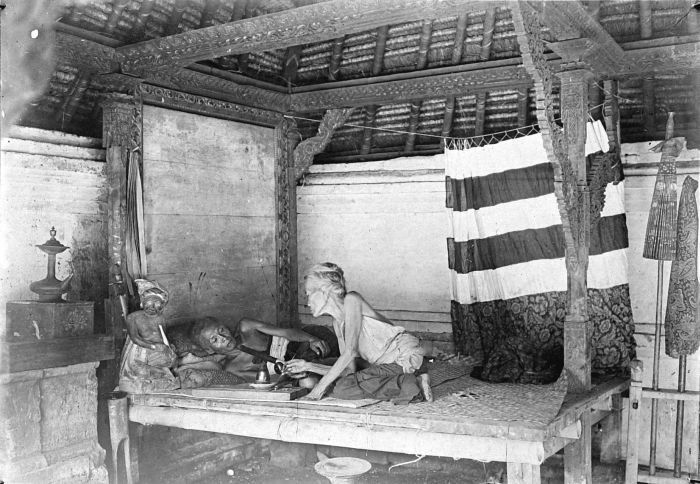 Turkey under the watch of a customers officer. 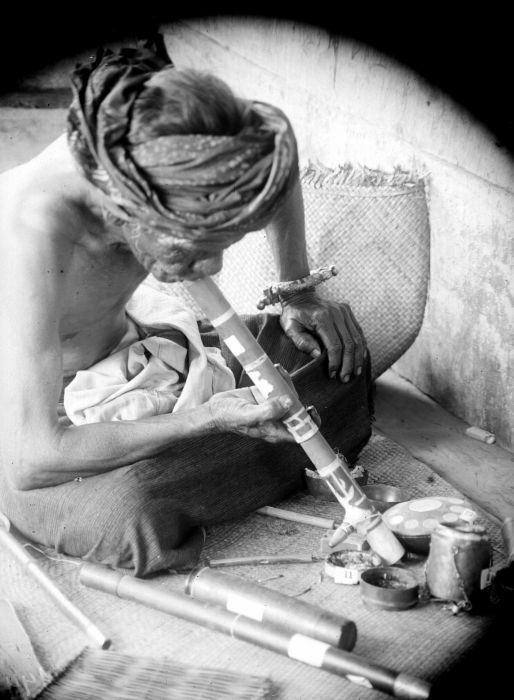 opium will then be used to make a concentrated tincture. 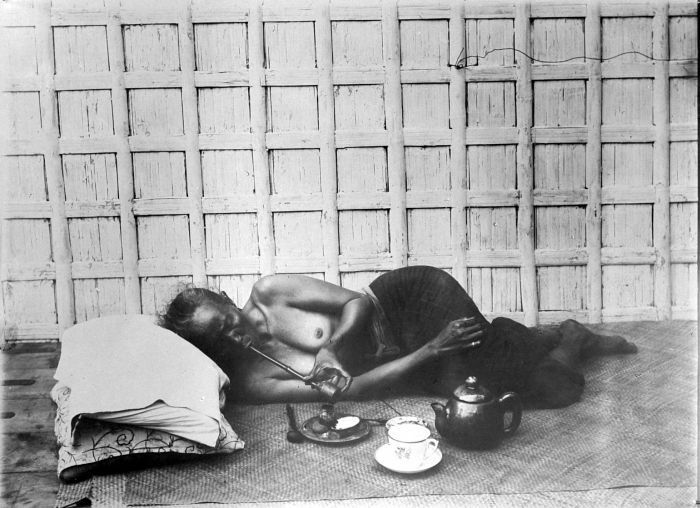 tincture of opium to be used to make medications. 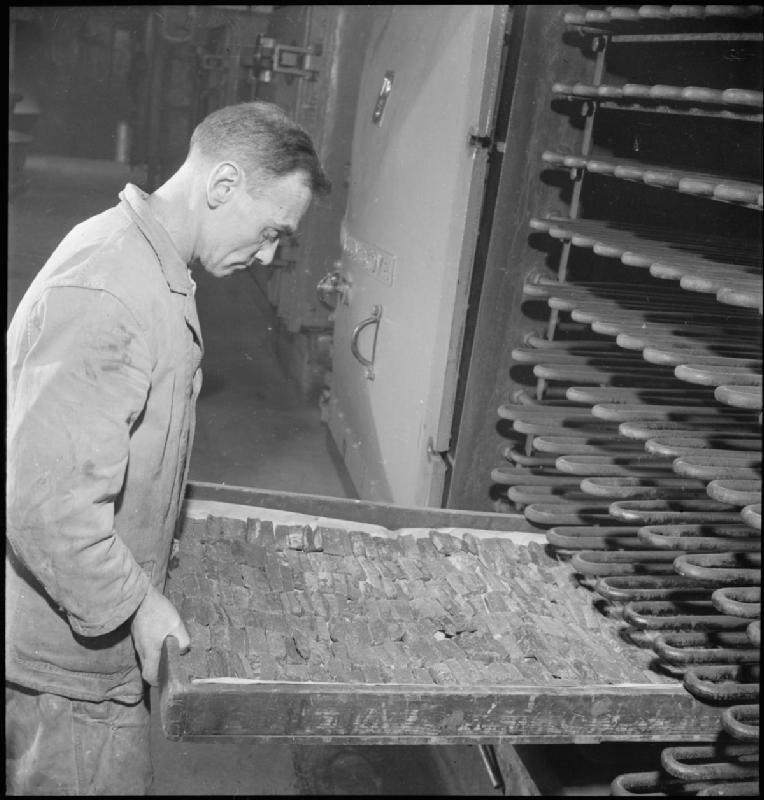 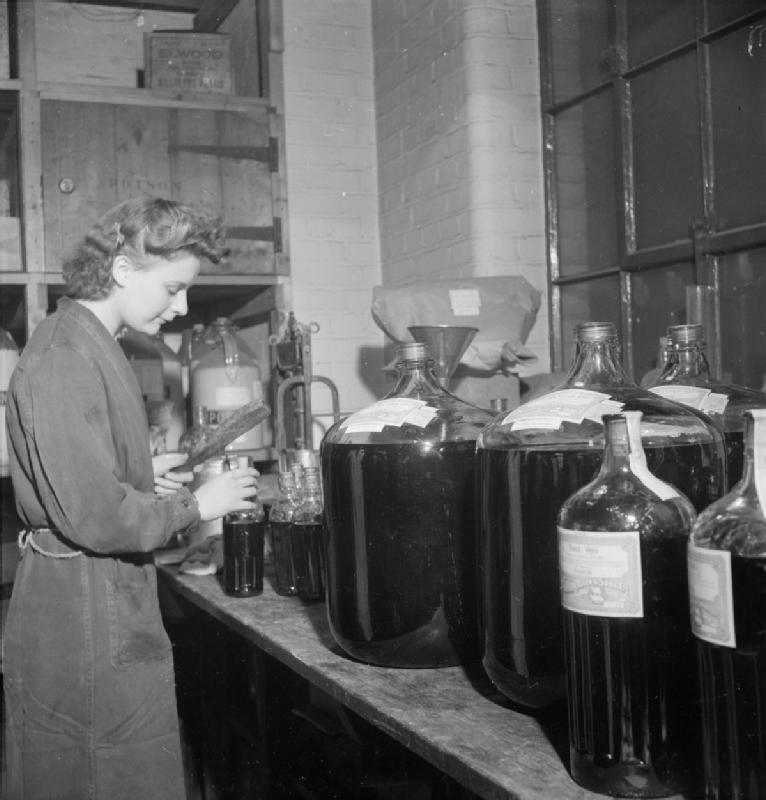 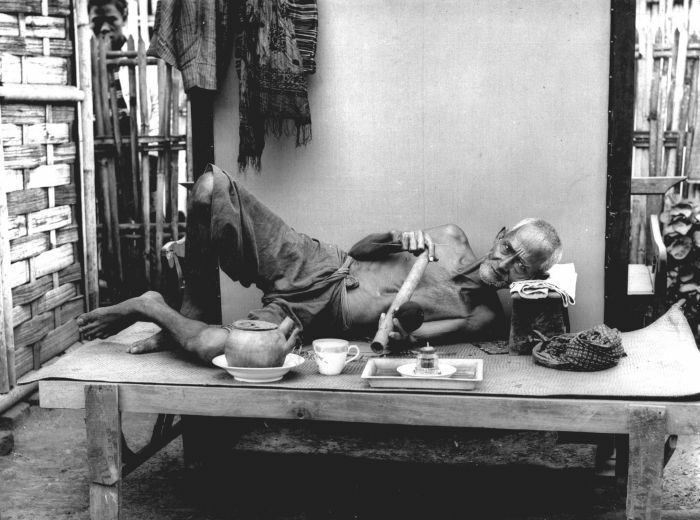 A worker at an opium processing laboratory takes a bottle of morphine hydrochloride from the store. 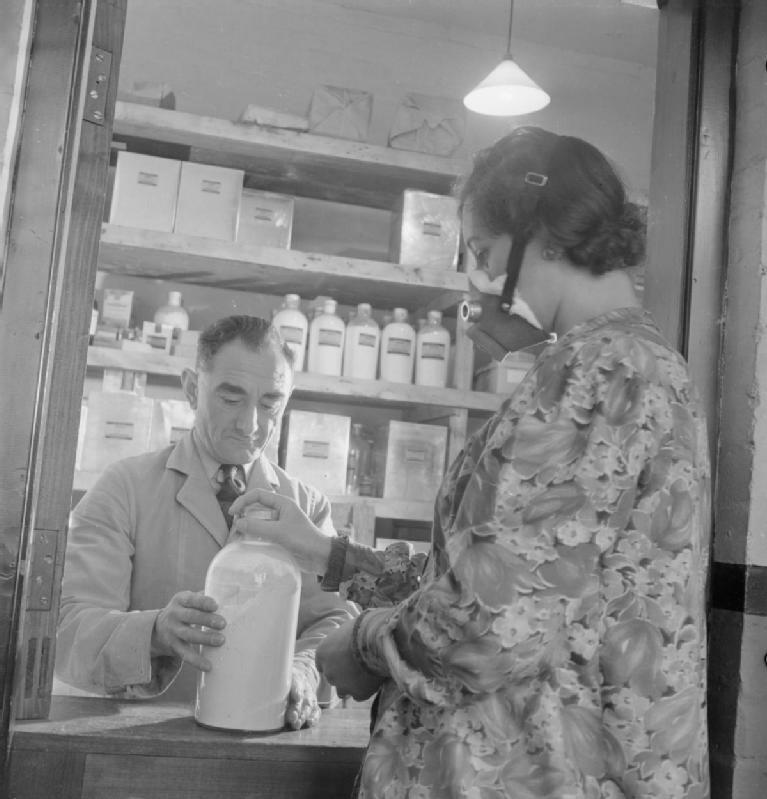 She is wearing a mask to prevent any inhalation of the powder as she works. 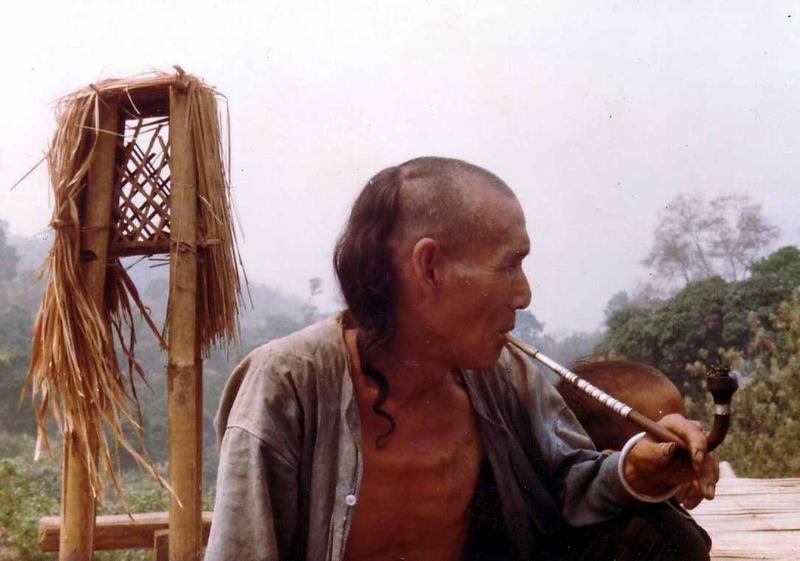 Akha man with opium pipe. 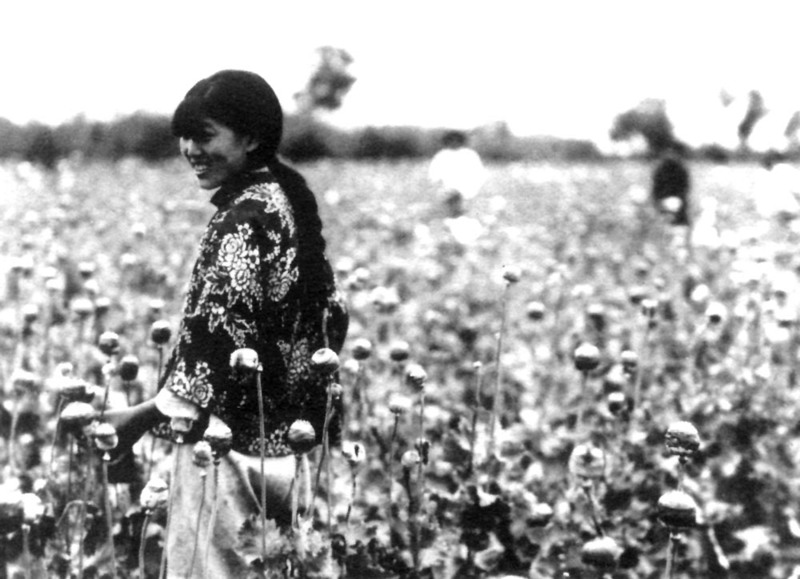 Opium poppy harvest in north Manchuria, Manchukuo. 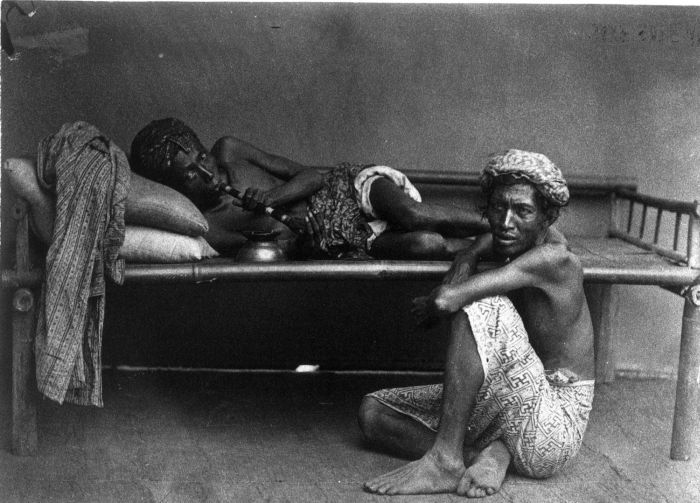 Opium trade and manufacturing in the Dutch East Indies was one of the monopolies exclusively hold by the Dutch East India Company. 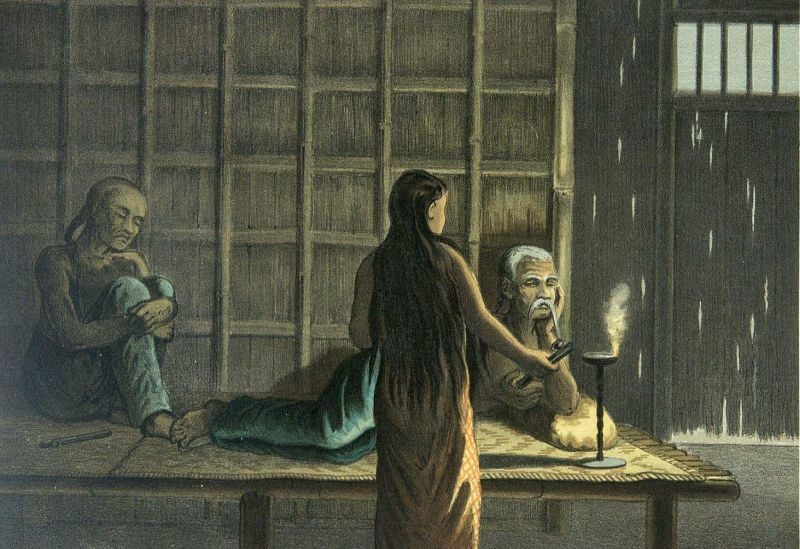 Opium trade became important already in the 17th century. 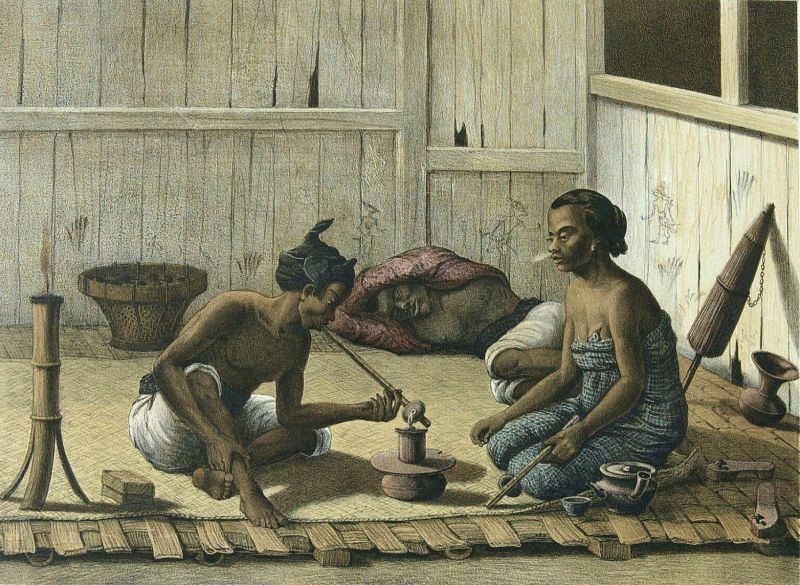 The trade with opium was concentrated in Jakarta (former: Batavia), manufacturing and trade through the East Indies and the East India Company had major influences on the Opium Wars. 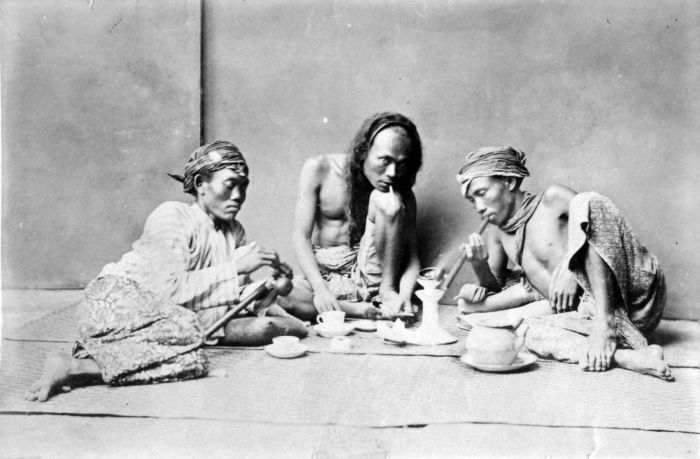 Consume of opium also became a problem in Indonesia. 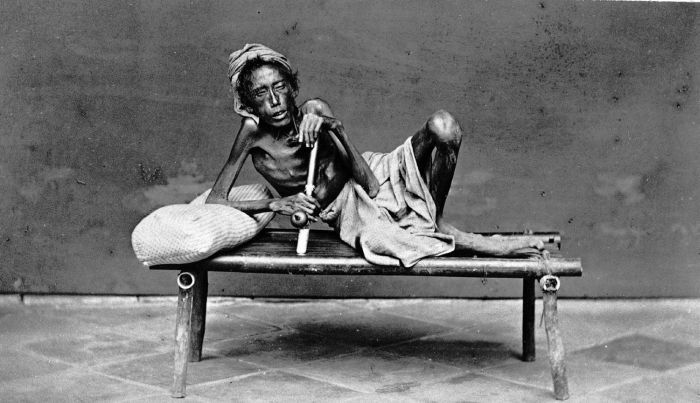 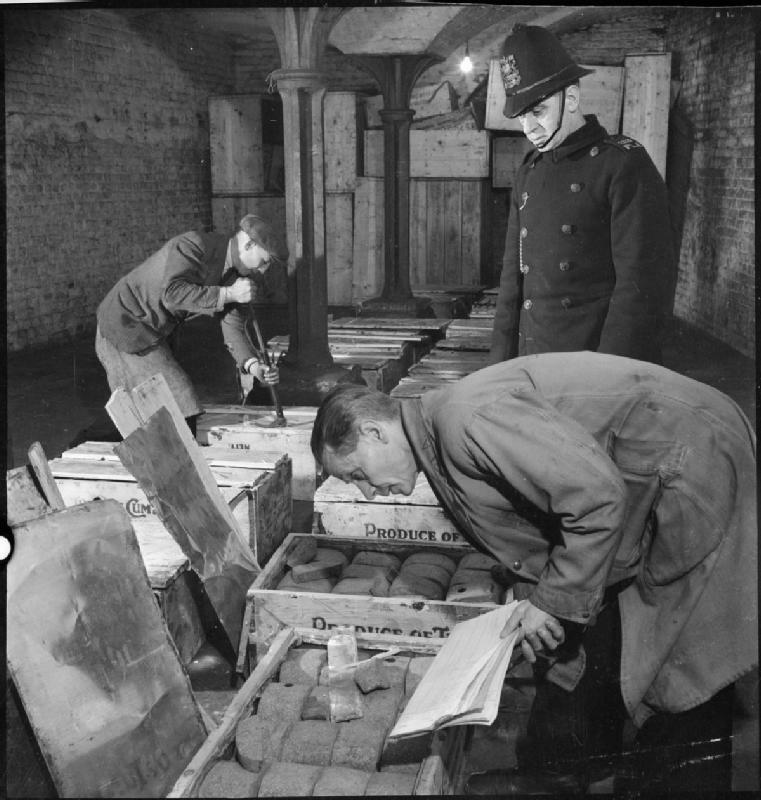 Since 1904 opium was produced and distributed (sold) under government control (opiumregie) to reduce the abuse.